Host this three day event at your church! Trust in organized religion has declined significantly in recent years. In fact, the Pew Research Center recently released a report revealing that the Christian share of the population fell eight percent between 2007 and 2014. People are eyeing the Christian church with suspicion and some even feel betrayed by the news they hear about religion throughout the world. Are their fears justified? Did something go wrong at the dawn of Christianity? A Pale Horse Rides is an easy way for your church to connect with your community. 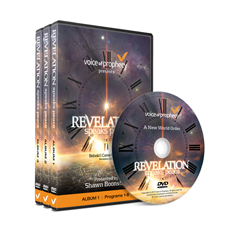 The Voice of Prophecy has specifically designed A Pale Horse Rides to bring people from your community through the doors of your church. This project is designed to help fill one of the deepest needs we all have–a deep need to share Jesus and introduce people to our church, in a way that isn’t awkward, or uncomfortable. (1) Promotional DVD with messages to the pastor, the board, and the members of the church. This DVD also includes speaker notes, slides, and all related materials for your event speaker. This Box Set includes everything you need to host A Pale Horse Rides in your church. Host this event for just $95! Turn your members into missionaries with one of our bundles! 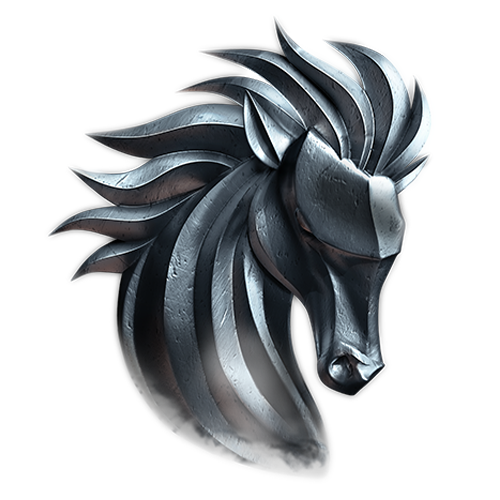 These bundles will save you money, while giving you the best tools to invite your community to A Pale Horse Rides. We’ve combined the best, basic necessities to help your church members invite their friends, co-workers, and circle of influence. Need help deciding? Call our marketing experts at 1-800-525-5791. These resources may be purchased individually as an add-on to your Campaign Kit. 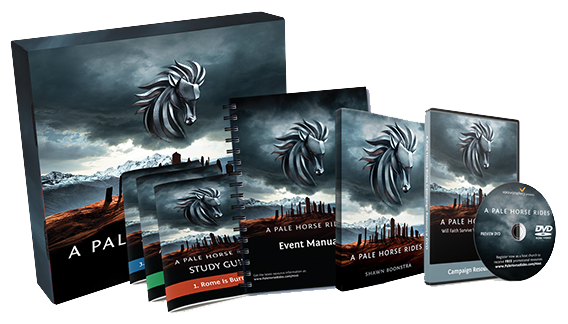 To view all of the resources you can purchase for A Pale Horse Rides, visit SermonView.com/PaleHorseRides. 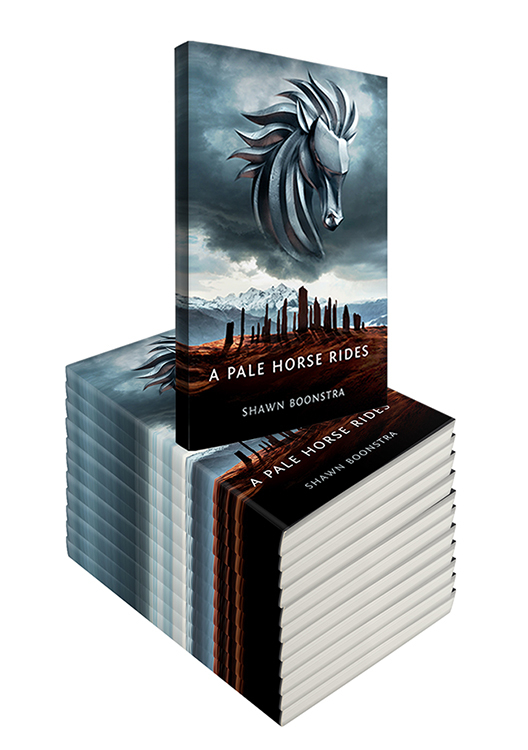 A Pale Horse Rides is a the thrilling follow-up to The Voice of Prophecy’s Shadow Empire. It is a three-part, seed-sowing experience specifically designed to bring people from your community through the doors of your church. That’s the reason for A Pale Horse Rides. What we’ve done is take something really interesting—a topic that is very relevant in our world today—and we’ve showcased it from a user-friendly, biblical point of view. 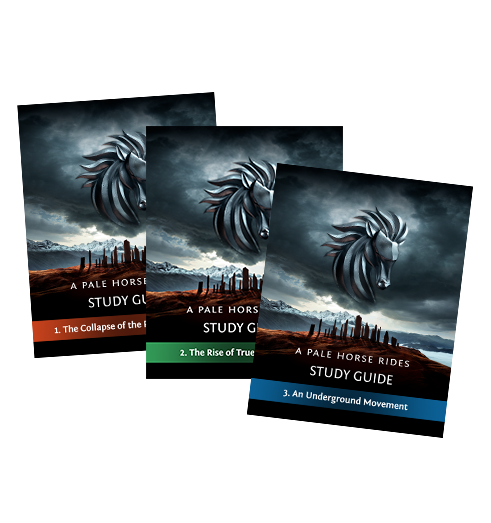 A Pale Horse Rides is a three-part experience, specifically designed to help your friends become more interested in what you believe. It’s been designed for history buffs, and for people who might feel a little uncomfortable with church. Our desire is to help you invite those people to your church. And if they didn’t see Shadow Empire, that’s okay. A Pale Horse Rides stands on its own. It’s full of incredible untold stories that even many church members haven’t heard. We will tease the audience with Bible prophecy, and teach them just enough so they realize that your church has something special to offer. Most of all, we want to help you invite people into your church. This a powerful and interesting way to encourage your friends to visit your congregation and just get to know you. There are no strings attached. We want this to be an opportunity to bring people through the doors of your church in a way that isn’t awkward and uncomfortable. It’s just really good material the church can be proud of—stuff that starts a discussion. 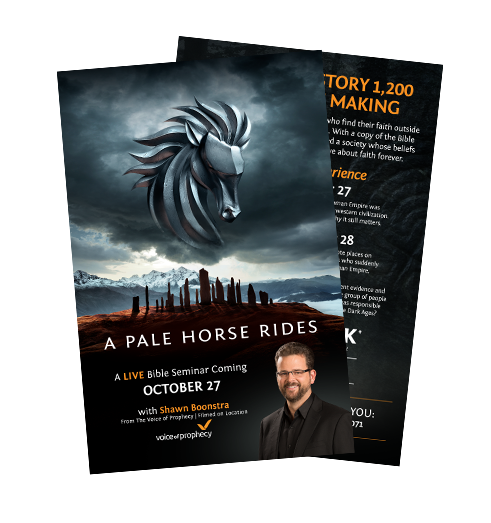 "A Pale Horse Rides has brought more non-members intro our church than any other program we have tried. But what surprised me the most is the positive effect it had on the church members. They were surprised by the number of non-members attending, and by Pastor Boonstra's presentation of the material." 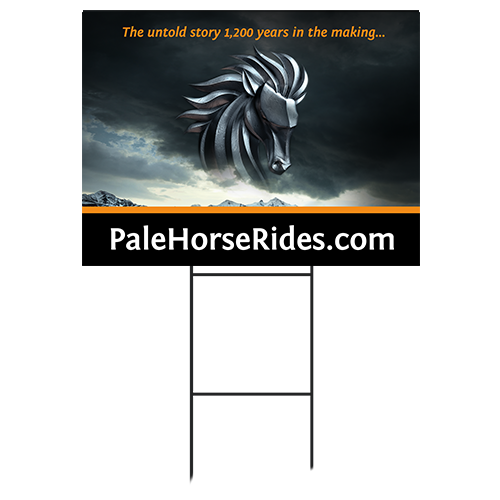 Why use A Pale Horse Rides? It’s as easy as it gets. We’ve created the videos and provide all of the event resources. All you have to do is have someone to play the video and continue the discussion with your attendees. That means if you have multiple churches, it’s easy enough to have a head elder or a lay person facilitate the meeting on your behalf. It introduces people to Adventist beliefs. A Pale Horse Rides shines light on a fascinating group in history that studied the Bible and began to observe the Sabbath, without having ever stepped foot in a church. We introduce this topic in a way that doesn’t point fingers at other religions or make anyone feel uncomfortable. It addresses the issue of why people are leaving the church. Christianity is at a crossroads. People are leaving the church at alarming rates—and some even believe that this is the end of the church in our nation. A Pale Horse Rides addresses the uneasy feeling that people have when it comes to organized religion. It affirms that something did go wrong at the dawn of Christianity, and that the Bible predicted it all. Register as a Host Church Now! This powerful seminar, presented by Pastor Shawn Boonstra, will clearly unlock the prophecies of Daniel and Revelation–using the Bible itself as the key! Experience hope for the future as you discover that Revelation truly does speak peace. Log in, register your event, then reload this page and come back here to access FREE host church promotional and event downloads! Logged in, registered, but still don't have access? Call us at 1-800-525-5791.